Clean those shotguns and grab your thinking caps DOOMers! 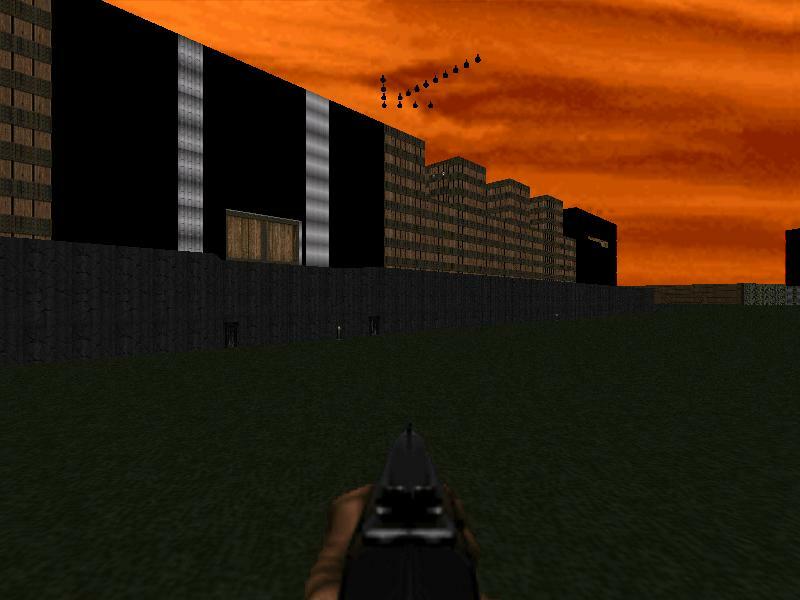 Here's nine levels of hot and tasty DOOM II action. For an _extra_ challenge play each level alone starting with a pistol. For a blastin' good time play them as an episode. All support difficulty levels and contain co-op and deathmatch starts. This is a revision of the original release. Bugs have been fixed everywhere and all levels are significantly changed, I hope you'll find them both more challenging and more fun than before. This is a revision of the original release. however is inside... and three rings to attain again. This is a strange and highly non-linear level of moderate complexity. one natural point to choose on a wheel. teleporter, but the keys aren't absolutely necessary until you exit. Scale the Black Tower and pull the self-destruct switch. Sound easy? structure until you've gained some ammo and weapons. credit to the author and a pointer to this file are provided. prior permission from the author. first of all the biggest issue I have with Enigma is I for some reason cannot extract the download from the zip file for some really dumb reason. have no idea what's up with that, but I have to download it from the DSDA archive and I'm not sure if anyone else has this problem besides me. Enigma, a 9-level set by the late Jim Flynn, lives up to its name. 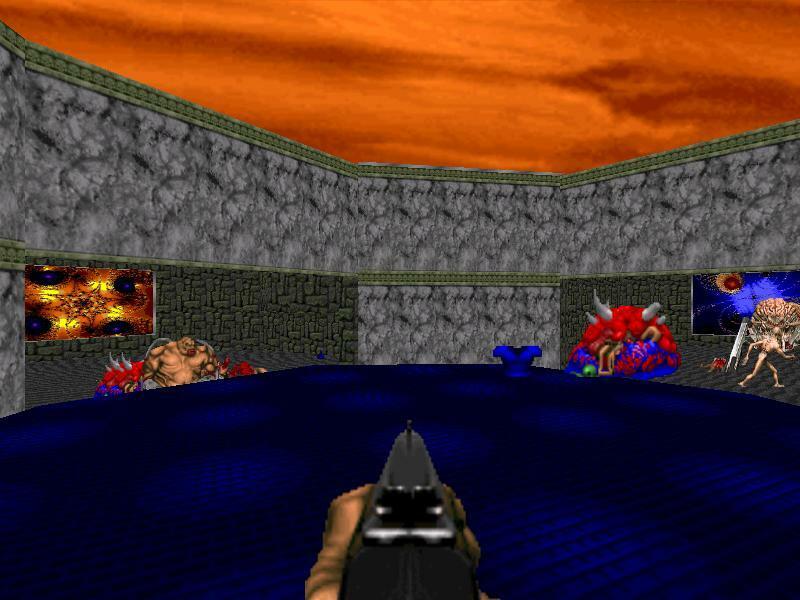 this is the kind of wad where you will get lost, looking at completely odd, Maximum Doom-like detail (sorry, but is this really amazing design? ), jumping puzzles (I never find these fun), and cryptic progression where if you're gonna try and get out somewhere, you might want to try to use random walls. some secrets are required. those weird Mandelbrot images look like fancy desktop wallpapers, and you're gonna spend some time looking at them since this set actually is quite long in individual level length. levels like Triplet and The Citadel are true highlights of the set, but let's not get ahead of ourselves here. another thing to take note of is that each of these original levels somehow had been released beforehand, while Jim actually compiled them all and released them as one wad which is this file. gameplay actually is quite hard, for a set from 1995 that's quite an accomplishment. if you're not dealing with figuring out where to go, it's actually somewhat enjoyable. unfortunate that I spend quite a lot of time groping at the level progression and what I need to do. perhaps the design also didn't help matters. 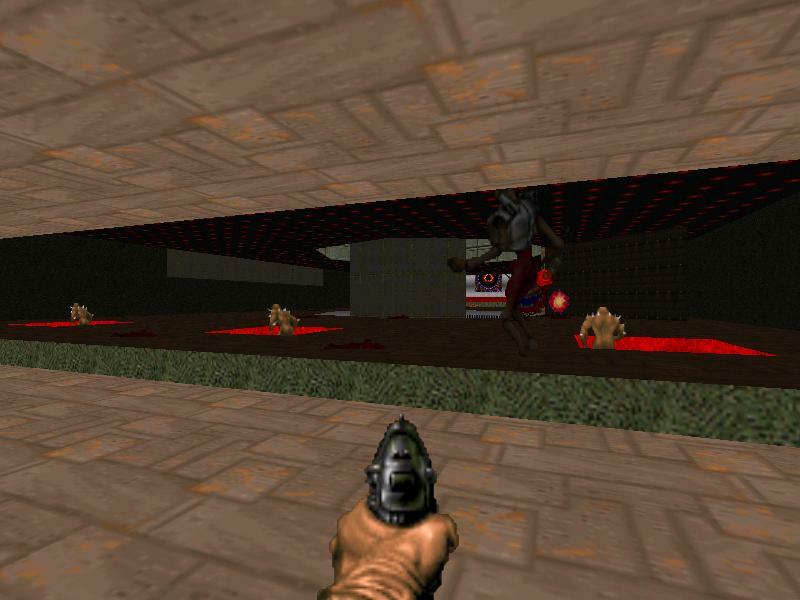 Jim's definitely a peculiar one, this and the Eternal Doom maps he made show just how powerful he is at trying completely off-the-wall things. me, I'm more traditional than this. Pretty good, very unique architecturally - everything is Huge and there's lots of vertical jumps. It's also very old, so it's a (lot) bit ugly, contributes to the charm for me. Just the right amount of challenge. Really hard, but damn fun! Ugly beyond belief, but also a great source of inspiration - cool ideas are everywhere. I'd recommend warping directly to MAP04 - if you don't like it, skip this mapset. Well deserved 3/5 stars, vdgg. I liked it. Jim effing Flynn! EFF YES! A little too easy, but not without a certain charm. The WAD prides itself with being one of the the most difficult WADs that exist. The first few levels are hard but fun. You're curious if you can escape the situations you are put in. But by level 10 or so it becomes clear that HR2 is not hard, it's just unfair and tedious. You are put in situations where you're forced to take damage. You're trapped in a room with four baron of hells. You wasted all your energy ammo on the boss battle before, not anticipating the situation you were put in and you cannot use rocket launcher because there is no room to evade the splash damage. Unfortunately, this happens in every map. After reloading and planning for those situations (that do not require skill but only the use of the quick load button) you again have to chew through dozens of hard-to-kill monsters. When you press that button and are greeted again with 20 revenants, 10 hell knights, 10 baron of hells and 3 arch-viles. There is an abundance of ammo and enough cover to easily kill them off, but you still question every action that took you to reload and tediously gun them down again for 5 straight minutes. In short: The map design is uninteresting. The layout mostly alright. This WAD puts you in unfair positions and makes you tediously chew through hordes of monsters without any real demand for skill. There is a lack of interesting monster encounters. All in all, 2/5 stars, do not recommend.